2.5D action shoot-’em up Astebreed has finally released on Nintendo Switch today. To celebrate the game’s launch, PLAYISM and Edelweiss have put out the game’s launch trailer. Check out the details and press release below. The 2.5D shoot-‘em-up indie title Astebreed, critically acclaimed on a variety of platforms, is now available on the Nintendo Switch. 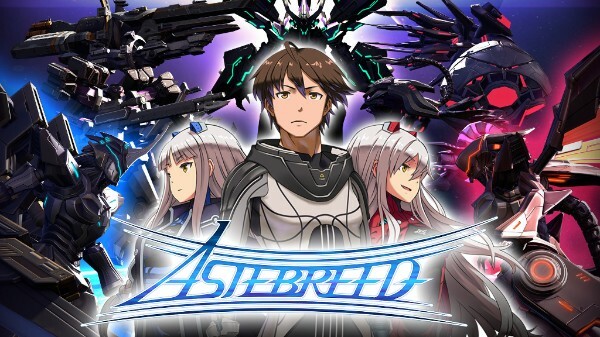 Created by the renowned indie hitmaker Edelweiss, Astebreed features beautiful battles on seamlessly changing fields through which you can freely side-scroll both right and left as you shoot around space in a fight for your life. Take on the role of a nigh-invincible warrior as you decimate the swarming hordes of enemies utilizing flashy and gorgeous manoeuvres. The wide-range auto lock-on attacks are refreshing and fun for shooting game fans of all skill levels. Apart from the amazing battle scenes, Astebreed also features painstakingly detailed mechs and characters, sure to please any robot fan. This new Switch port will allow for indie game newbies and younger players to experience the zenith of true indie quality. A Battle for the Last of Human Civilization. On the Edge of Oblivion Stands Astebreed.